We have cool, shiny new LiDAR data to play with in the Spatial Analysis Lab. These data were captured in December 2013, but we did not receive the final product until earlier this summer. 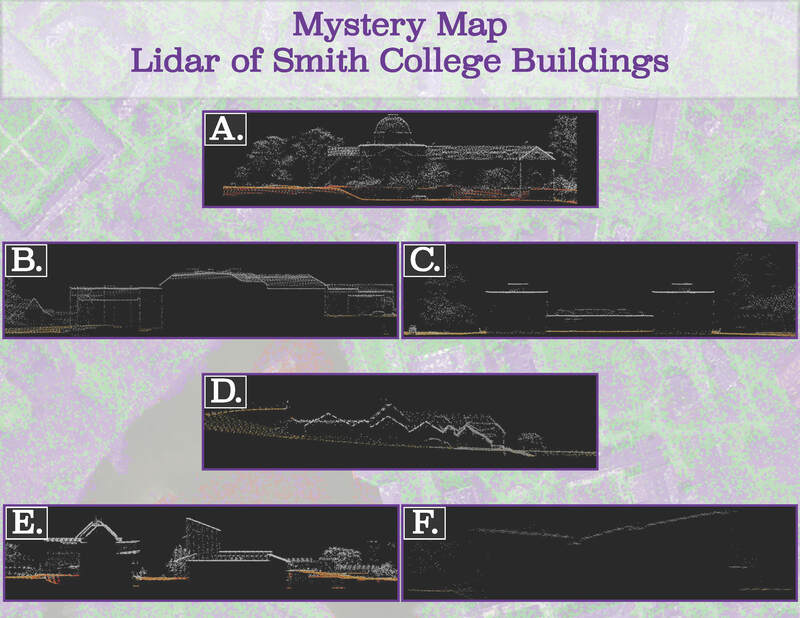 We’ll provide more details about LiDAR, and our plans for processing and analysis after the Mystery Map competition is complete. Until then, we thought it would be fun for the campus community to view some cross sections of these 3D point clouds. Use the link below to supply your answers to these mystery profiles. Special thanks to Eliana Perlmutter ’16 for generating the images. Enjoy!